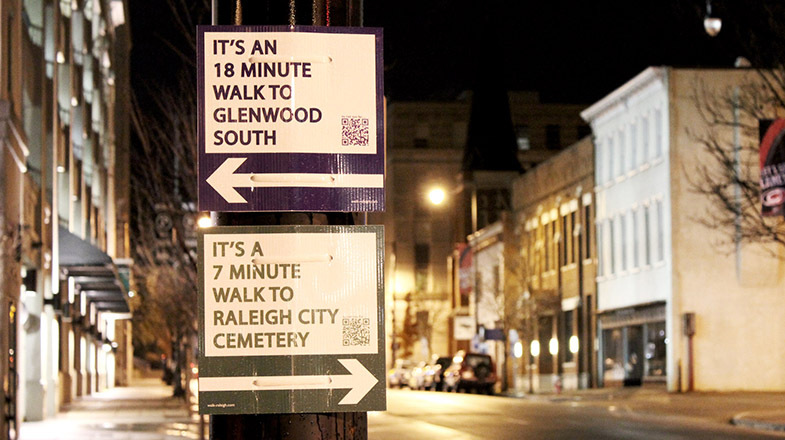 Walk [Your City] began as Walk [Raleigh] in 2012, when designer and urban planner Matt Tomasulo posted several signs around his hometown that listed nearby landmarks and the distances to them in ‘Minutes-by-foot’. This experiment in ‘guerrilla way-finding’ was an immediate success and the signs were mentioned on blogs, local and national media, and eventually endorsed by the city’s council. The project’s premise is simple: The more people that walk through an urban space, the richer, safer, and friendlier it will be. Walking is good for the space, the people, and the environment. The Walk [Your City] signs force you to pay attention not only to areas of interest around you, but also emphasise their proximity, incentivising people to walk. Built on the success of the initial experiment, and a successfully funded kickstarted campaign, Walk [Raleigh] has now grown into Walk [Your City], an website that allows people to create their own signs, which can be customised for cities around the world (The only limitation is the availability of Google Maps data for the city). Once created, a sign can be ordered from the Walk [Your City] website for a nominal fee. • The Minutes by Foot measurement from the location of the sign, to the destination. 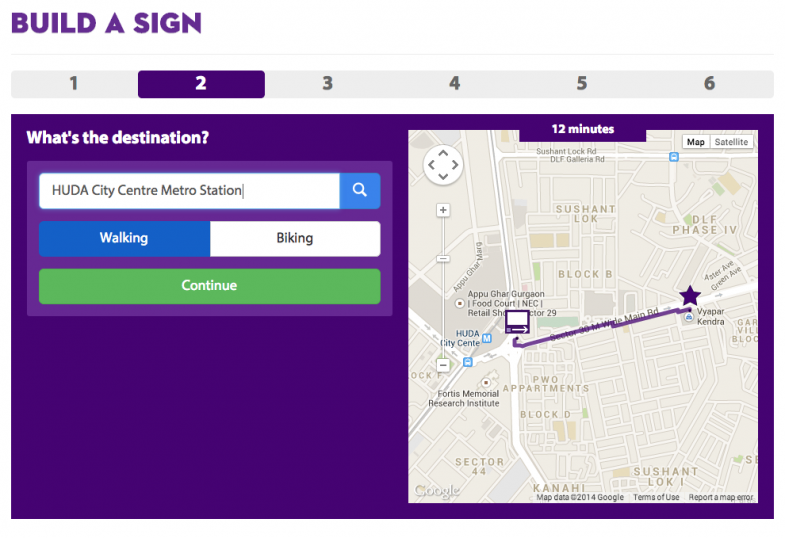 Since the launch of the online platform in March 2013, over 3,000 signs have been created and deployed in cities as far flung as London and Sao Paulo, with a majority of them being across the United States. The site currently supports sign creation in French, Portuguese, and Spanish, apart from English, with support for new languages planned soon. For more information on Walk [Your City], visit the Facebook page or read about them in Wired.